In recent years, the UN Security Council has strengthened its global counter-terrorism (CT) framework, perhaps more so than at any point since 9/11. 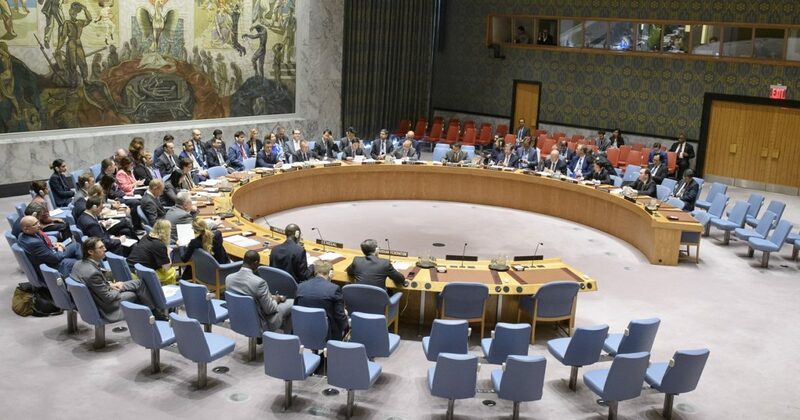 Uniting States in their focus on the Islamic state group and its affiliates, the Security Council has multiplied binding resolutions, with unfortunately little consideration for their impact on and interplay with other bodies of norms. An example is the way in which the CT framework interacts with international humanitarian law (IHL or the laws of war). Most of these resolutions include in their introductory paragraphs that States must comply with IHL. However, it is unclear what this formula means concretely for States at the domestic level when terrorism occurs in situations of armed conflict. Such clarification matters because all of the main fronts with a CT label—such as in Iraq, Syria, Afghanistan, Mali, Nigeria, Libya, Yemen and Somalia—are actually legally classified as non-international armed conflicts (with an extraterritorial element) by most observers. These conflicts are thus governed by IHL, which includes Common Article 3 of the universally ratified Geneva Conventions. The Geneva Conventions’ post-World War II framework might wrongly be perceived as an inadequate way of dealing with contemporary transnational terrorism threats. Such a perception might actually put at risk the delicate balance between military and humanitarian imperatives crystallized in IHL. For instance, to medically treat a fighter wounded on the battlefield has been a cornerstone of IHL since modern its codification over 150 years ago. Today, to medically treat a wounded fighter—when he or she is labelled a “terrorist”—can lead you to jail under the charge of providing support to terrorism. This worrying trend has been building up over the years with the adoption of numerous landmark Security Council resolutions, such as the resolution 2178 (2014) that contributed to blurring several legal lines with the introduction of the notion of foreign terrorist fighter. The UN has recently strengthened its capability even further by creating a new CT office headed by an Under-Secretary General. This development has already prompted concerns from civil society. Although various research projects to gauge the impact of UN CT measures on humanitarian action have been undertaken or are currently being carried out, little has been written on the impact of these measures on IHL per se. Can IHL survive this endless quest for the ever more perfect CT framework? Parts of it might not—in particular the rules governing non-international armed conflicts—as long as some States remain reluctant to accept the applicability of IHL to the non-State armed groups they are militarily fighting against because deemed terrorists. While States make international law, the path chosen by States to deal with terrorism is to rely on the Security Council’s normative prerogatives rather than to develop IHL, as illustrated by the painful steps on the road of better compliance with IHL. The Security Council, however, is essentially a political body, rather than a legal one, and very often CT experts are not international lawyers. The Council may thus sometimes reflect positions—such as the one stressing that groups designated as “terrorist” must always be treated as criminals and never as fighters—that are at odds with IHL. For instance, if the two concepts (fighters vs. criminals) were indeed mutually exclusive, one might wonder what a “war criminal” is. States should be reminded though that IHL—if faithfully implemented and applied—is not only the lex specialis applying in situations of armed conflict, but also a powerful tool in their global fight against terrorism. Indeed, IHL already prohibits direct attacks against civilians and similar atrocities, as well as specific acts intended to harm civilians in all types of armed conflict. Those directly attacking civilians or committing other prohibited acts can lawfully be targeted and killed in military operations in accordance with the rules on the conduct of hostilities; or can be lawfully captured and interned (administrative detention without any criminal charge) as long as they represent a serious security threat. They can, furthermore, be prosecuted for acts amounting to war crimes. So, one might fail to see what is exactly missing in this legal framework to adequately deal with terrorism in times of war. The UN Security Council considers terrorism as one of the main threats to international peace and security, which is understandable. However, a wide range of issues have been linked to terrorism, brought to the Security Council’s table and subsequently analysed mainly—if not only—through a security prism. It makes sense that the security lens prevails at the Security Council. However, it would be wise to take more into account a body of norms—IHL—which has been established precisely to preserve basic humanitarian values and principles in the midst of armed conflict. Ignoring it or not paying enough attention to it can, risk increased violations, which themselves “may exacerbate the very phenomenon that counterterrorism purports to fight” and may, among other things, make the path towards reconciliation and ultimately peace, very difficult. Stéphane Ojeda is a humanitarian lawyer. He recently ended his mission as Deputy Permanent Observer & Legal Adviser of the ICRC Delegation to the United Nations in New York. This article is written in his personal capacity. Global counter-terrorism must not overlook the rules of war – Stephane Ojeda, Deputy Head & Legal Advisor, ICRC New York, 13 December 2016. Terrorism, counter-terrorism and IHL: Primer on a recurring conversation – Ellen Policinski, 2 November 2016.
International humanitarian law and the challenges of contemporary armed conflicts – ICRC Report, October 2015. 17th annual Bruges colloquium on terrorism, counter-terrorism and international humanitarian law, 20-21 October 2016. Could it not be said that the need for a separate regime comes from the fact that many instances of terrorism occur outside of an armed conflict? If you take the attacks of the past few years in London, Manchester, Nice, Barcelona etc. these were not acts committed by fighters of non-state armed groups involved in a NIAC, unless you extend the coalition/ISIL NIAC to extend to the territories of each state forming part of the coaliition, rather than just confining it to the territory in which the conflict is occurring (Iraq and Syria).